For the past couple weeks, players of a PC platformer called Abstractism have suspected that something is amiss. The game has been accused of “cryptojacking” people’s machines, or clandestinely using their resources to mine for cryptocurrency. Today, after sustained outcry over the weekend, Abstractism was removed from Steam. Abstractism appeared on Steam on March 15 and billed itself as a “trivial platformer” that seemed innocent enough at first glance. 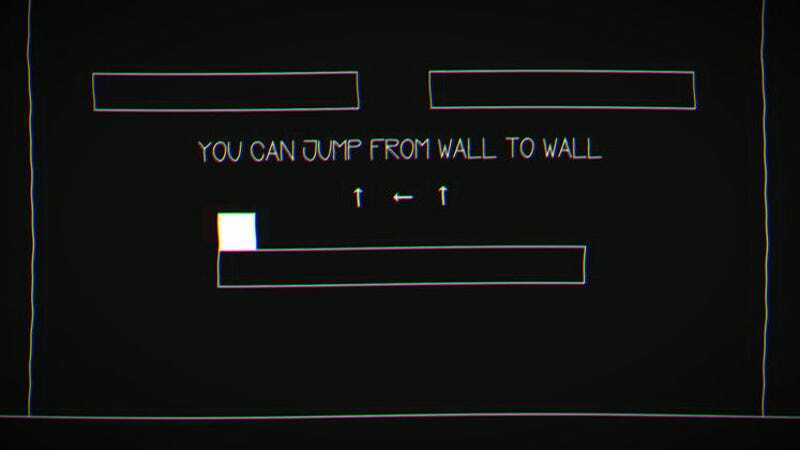 But then players noticed that this simple game about a box moving through a series of minimalist environments was making their CPUs and GPUs wheeze for mercy by requiring irregular amounts of processing power. Steam reviews, meanwhile, began to claim that the game installed a virus disguised as a Steam.exe process. After further analysis of the malware in question, players began posting reviews and discussion threads claiming that the game was using their machines to mine cryptocurrency. YouTuber SidAlpha (via Eurogamer) took a closer look and came to the conclusion that it’s probably a cryptojacking operation due to the structure of its Steam item drop system, which gamifies keeping the game running for long periods of time. This would, of course, handsomely benefit cryptocurrency miners. Cryptojacking, according to security site CSO, is tough to reliably detect because of the way hackers disguise outgoing communications, but one surefire sign of it is a sudden dip in computer performance. Abstractism’s developer chalked this up to graphics settings. It’s worth reiterating, though, that the game’s graphical style was about as simple as it gets. It seems strange that any of its graphical settings would make PCs sweat. In addition, one commenter on SidAlpha’s video, Matheus Muller, claimed to have analyzed the game while running it on a virtual machine—or an emulation of a computer system—and found that “this resource usage is unrelated to graphical rendering, as it persists even when the game is not being rendered or is being rendered by a separate GPU.” He also said that Abstractism “causes a huge amount of network activity,” which is pretty weird for a single-player platformer. Abstractism was sketchy in more overt ways, too. One user reported that the game created a scam item claiming to be a Team Fortress 2 weapon that sells for upwards of $100 on the Steam marketplace. It spoofed the real item’s picture and name, but it didn’t actually give players anything in-game. In effect, it was a fake listing. A game called Climber was recently removed from Steam after pulling a similar scam with pricey DOTA 2 items. Obviously, though, this serves as yet another head-rattling knock against Valve’s decision to open Steam’s floodgates wider than ever. The company has said that it will still turn away games that are “illegal, or straight up trolling,” but if it can’t consistently detect them before damage is done, why should users expect a safe experience on Steam?